Craig McKee reflects on his school’s decision to take a leap into the unknown by moving away from their LEA broadband provider. Why change broadband? Well, the first point I would make in this time of austerity, reduced budgets and school leaders trying to stretch every penny is the cost saving. We were quoted £7,108 for our broadband connection for this financial year. For this we received our filtering and a 8 Mb broadband connection. Our alternative? Smoothwall filtering (previously listed on the BECTA approved list) at a cost of around £4,000 for three years (this can be reduced if you buddy up with some other schools) which has to be paid in full for three years up front. On the broadband side we opted for the 50 Mb Virgin fibre optic line and an 8 Mb TalkTalk line that is via the phone line. The combined cost for these two lines is around £850 a year for a 58 Mb provision – we regularly test our download speeds at between 50 – 60 Mb’s (seven times that which we had from the LEA). There were set up costs involved but these were only £350. This means that in year one we spent £5,200 for a broadband solution seven times quicker than that of the LEA. In years two and three the costs will only be around £850, because we have already paid upfront for our filtering for three years. The next reason to change? Control. Actually being able to make a decision about what websites we allow and do not allow in our school. During the earlier part of this academic year I found myself on the phone to our LEA asking to unblock a port for us so that I could upload files to our own school website. Unfortunately, this was a fairly common occurrence and sometimes things would be unblocked and sometimes they would say no. If we were told no, that was it, we couldn’t use the website in our school at all, full stop. However, on this occasion we were told it was possible at a cost of £50. This eventually became the straw that broke the camels back so to speak and we eventually made the decision to take control of it ourselves. Now, we decide what website we do and do not allow. This is really good especially when a member of staff asks whether they can have a site unblocked for their next lesson because it takes less than two minutes to add it to our exceptions list. The point we do have to bear in mind is that we are now wholly responsible for anything that the children may access on the internet. A scary thought I know! But, Smoothwall came, out of the box, more restricted that what we classed as “draconian filtering” by the LEA and over time we have eased this back. Another really good feature is the ability to temporarily allow access to a website. If, in the middle of a lesson, the ‘blocked’ page pops up it allows staff the option of bypassing the filtering for 30 seconds, 5 minutes or 30 minutes which will allow the lesson to continue and then, if they feel it should be permanently allowed, they can speak to me. Our LEA are now only providing email accounts for broadband subscribers but this has worked in our favour. I have signed us up for Google Apps for Education – (free!) and this has given us 500 email addresses that I can choose and monitor (again free!). Would I do this again in another? Yes definitely. It was stressful setting up this time because we were diving into the unknown. Was it worth it? Definitely! 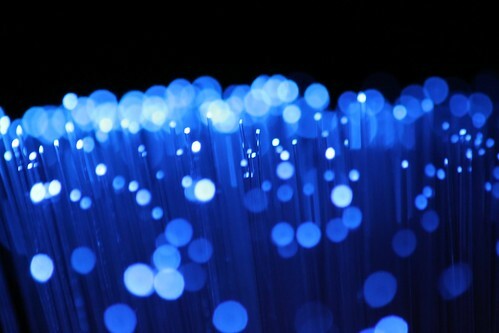 We have a much more reliable internet connection that is much faster and we have control over who sees what and when. My advice would be to anyone wishing to go this way, start planning in December for an April change. Ideally, have it all in and working in March so you have a month running a few computers on your new connection alongside your existing infrastructure. Having two connections from different companies is something I would also recommend as the chances of both companies going down at the same time are minimal and this hopefully means we have a more reliable connection. Craig McKee is a Year 5 class teacher and ICT co-ordinator in a large junior school in Rugby in the Midlands. He is a self confessed geek and before completing his Primary BEd with ICT, he worked as a computer engineer. Craig is a keen cyclist who has raced in national time trials as well as completed several long charity rides including Lands End to John O’Groats in six days.